After a double digit growth in Q1, are we seeing a continued bullish growth in recent year? Consumers remain optimistic on their grocery spend, with 7% increase in recent year (MAT June 2015 versus year ago). All the mega-sectors - food, beverage, personal and household care - reported significant growth. However, Filipinos spent most aggressively on personal care. 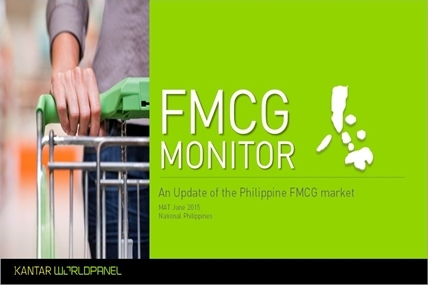 Market growth is driven by the southern regions, sari-sari stores, groceries and smaller channels like drugstores and convenience stores. Direct sales also continue to gain ground, with ease of payment and possibly improved range and quality that these direct selling companies are now offering. Emergence of local players in the market is also evident, some of which are growing much faster than global manufacturers. Which are the top local players driving this trend?